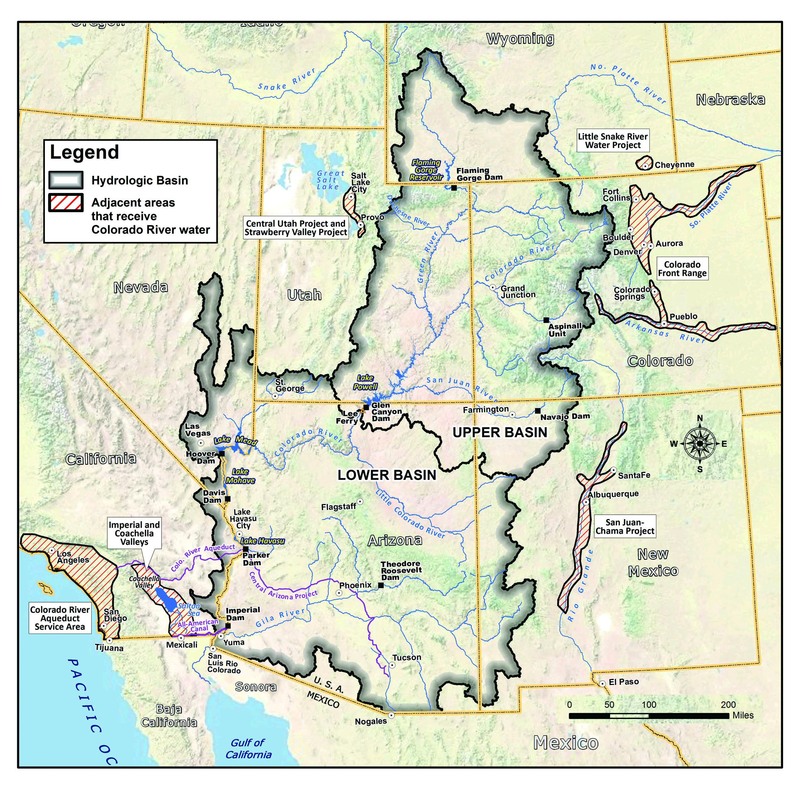 Figuring out the exact number of wells in the Colorado River Basin that are fracked is complicated. Like many other states Utah, Colorado, and Wyoming do not require that oil and gas companies disclose whether or not they are fracking. Some of the most active fracking companies in the Colorado River basin include Anadarko, Newfield, WPX Energy, XTO Energy, and Encana Oil and Gas. As of June 2014 there were 607 horizontal and 3,693 directional wells in Utah. As of February 2014, Wyoming had 1,901 horizontal and 7,349 directional wells, and Colorado had 23,358 horizontal or vertically drilled wells. Although ascertaining the exact number of fracking wells is not possible from the data that drillers are required to report, we do know that each of the states has at least a few thousand wells being fracked due to required reporting on fracking fluid. Although oil and gas companies consider hydraulic fracturing fluids to be “trade secrets” and “proprietary information” and have thus far been able to continue fracking with almost no regulation enforced by the federal government due to the “Halliburton Loophole”, public outrage over drinking water contamination has resulted in laws in 21 states forcing gas companies to disclose the contents of their fracking fluid. As tap water stinking and tasting of harsh chemicals began to pour out of peoples faucets, more questions about the potential dangers and risks of fracking have been raised. The haphazard storage of used fluid and well waste has also come under scrutiny. The dangers of fracking are well documented and must be taken into account when crucial water sources are threatened. The water that flows down the Colorado River is depended on by tens of millions of people, and fracking is a very real risk. With a growing track record of spills and contamination and a rapidly increasing number of fracking wells in Colorado, Wyoming, and Utah the Colorado River is at a very high risk of being polluted by this dirty energy practice. The disposal or input of any toxic or dangerous chemical into any environment is usually only accomplished by obtaining a permit to do so, or it is done illegally. Even though this is the case, hydraulic fracturing or fracking exposes ecosystems and drinking water supplies to many toxic chemicals. 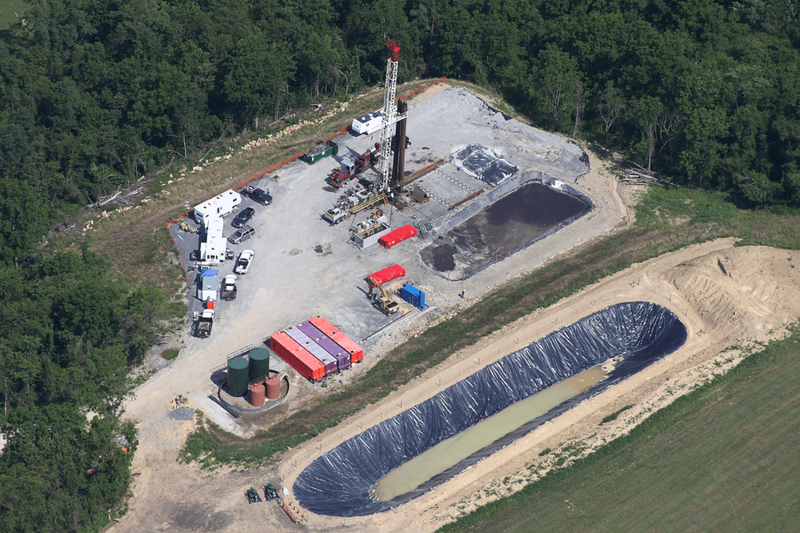 Fracking is widely used to extract natural gas from shale deposits deep within the earth. Gas is extracted by forcing a slurry of water, sand, and toxic chemicals into cracks and fissures, thus forcing the natural gas out the well for collection. There are three main types of oil and gas wells; vertical, directional, and horizontal. Every type of well can be fracked, but directional wells are more likely to be fracked than vertical wells, and almost all horizontal wells are being fracked. From Pavilion, Wyoming to Washington County, Pennsylvania and many places in between reports and evidence of water contamination from fracking have been growing steadily. Universities including Yale, Duke, and Stanford as well as the Environmental Protection Agency have studied and researched contamination sites across the United States. Wyoming, West Virginia, Pennsylvania and Texas have all received water contamination complaints from residents. Pennsylvania alone received 499 complaints in 2012 and another 398 in 2013. Research indicates there has been chemical contamination of not just groundwater but, critical aquifers that provide drinking water. There are also concerns and evidence linking fracking, and particularly the storage of used well waste to both water contamination and causing earthquakes and seismic events. Well waste is mostly stored in one of two ways. First in holding tanks or ponds, and second it is injected back into the shale deposits. One particularly well documented case of river contamination from a storage pond spill occurred in Pennsylvania in 2010 when an XTO Energy fraking site leaked used fracking fluids that included strontium and barium into a tributary of the Susquehanna River. Other Similar spills have occurred in North Dakota, Wyoming and Texas. Other studies performed by the University of Maryland and the Colorado School of Public Health show that air pollution from natural gas extraction through fracking is much higher than the extraction process of many other fossil fuels. Oil and gas fields in eastern Utah are already producing so much pollution that the area has some of the worst air quality in the United States. Even with all of these concerns and problems fracking for natural gas is being pursued and performed at ever increasing rates in the United States. A bill named the Fracturing Responsibility and Awareness of Chemicals Act or Frack Act would close the “Halliburton Loophole” and require full disclosure of all chemicals used for fracking. The bill would also restore the Environmental Protection Agency’s right to regulate fracking. What is in the fracking fluid in wells near you?